After all the evolving engine regulations for the new hybrid era of F1 we have entered, it appears that a loophole has been found in the regulations that means engine development can be continued throughout the season, except for Honda. In what appears to be unfair advantage to the rest of the other teams this will be a blow to not just Mercedes, who could lose some of their edge, but it will also be a blow to Honda. Being a ‘new’ manufacturer, they must have their 2015 power unit homologated and locked in by February 28th. During last season there were many concerned in the paddock that the pace of the Mercedes was going to be hard to catch up on, Mercedes were keen not to allow any relaxations in the regulations as to ensure they held their advantage, but there were protests from Renault and Ferrari, it appeared that there was going to a concession from Mercedes in form of offering their ERS unit to the other teams. The engine freeze was originally put in place as a cost-control tactic with changes only allowed if the FIA agrees that it falls under a reliability, safety or cost-saving issue. It is understood that Ferrari are the ones to have found the loophole and after many meetings Renault then joined the cause. With the FIA admitting that the wording of the regulations was open to interpretation, it has subsequently told teams that the “most logical and robust” way forward is to accept that there is no actual date for 2015 homologation. The ‘tokens’ the engine suppliers are allowed to use is reference to any developments made upon the power units, the teams this winter have 32 tokens they can use, but not one piece on the engine is worth 1 token, certain parts of the power unit maybe worth more, so the teams have to work out where they can make the best gains in terms of speed and pace in the engine but also reliability, which has been a lot better than expected in 2014, but I’m sure Renault will want to certainly improve reliability as their engines were the most unreliable. The teams will also be able to bring their developments whenever they wish throughout the season, this could mean one team gains advantage over another at different points in the season, this could prove an exciting development race from now on with now the engineers I’m sure in full swing back their factories. This is all part of the exciting world of F1 we all love and cherish, stay tuned!! Posted in F1 2015, Ferrari, FIA, Formula 1, Honda, Mercedes, Renault, Technology and tagged Developments, Ferrari, Honda, Hybrid, Loopholes, Mercedes, Regulations, Renault, Technology on January 3, 2015 by SteveCampF1. 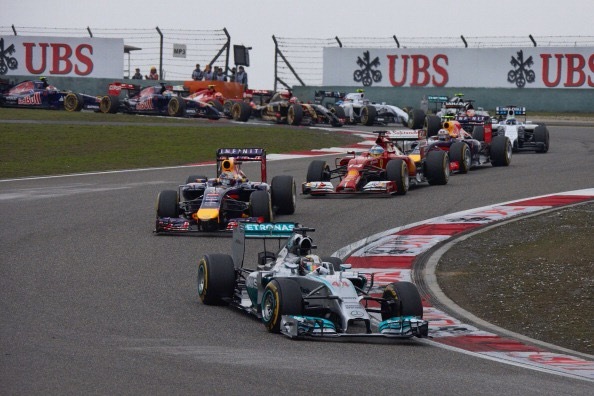 According to BBC Sport, Formula 1 is considering cheaper, louder and more powerful engines in the future. This for me is unacceptable in the wake of great strides the manufacturers of these power units have made in the past few years to get to this position, F1 finally took a huge step in it’s global attention when it decided to go down this hybrid route and it would be to great detrimental effect to go back now. At the Team Principal’s press conference in Australia 2014 it was confirmed by Charlie Whiting who was in attendance that had the sport not gone to this new engine format, we would have lost Renault, Mercedes as an engine supplier and Honda would never have made it’s return, Mercedes would also not have come back as a factory team. F1 would be a Ferrari engined formula, and we all know this is not what the sport was all about. In Formula One’s illustrious history we have seen many technologies come from the sport and put into our current road cars, ABS, Traction Control and Active Suspension to name but a few. Up to date road cars today are often having smaller engines attached to them with turbos to make up the power loss. With hybrid technology is still new F1 can be a great researcher of this technology and help fine tune it for our road cars, current supercars are already attempting to utilise a KERS turbo type system, McLaren P1 and the Porsche 918 are examples of this. Formula One needs to brave the start of this new era and keep the great work it has achieved so far, noise is only one aspect of this sport, we cannot go back to bigger and thirstier engines, in 2014 we achieved the target of 30% less fuel efficiency this new Formula, that to me is a grand success. Posted in F1 2014, F1 2015, Ferrari, FIA, Honda, Mercedes, Renault, Technology and tagged Efficiency, Ferrari, Honda, Hybrid, Mercedes, Renault, Technology, Turbo on December 20, 2014 by SteveCampF1. With Mercedes having said they know where they can find 60-100hp more when they fine tune the engines over the winter season, this must strike fear into the engine departments at the other teams. Mercedes it appeared in winter testing to have a power unit running at about 750hp with Ferrari about 30-50hp behind and Renault 50-80hp. All the teams will know where they can make gains where they are allowed as per the regulations, but if every engine supplier made the same gains surely the status quo would remain? 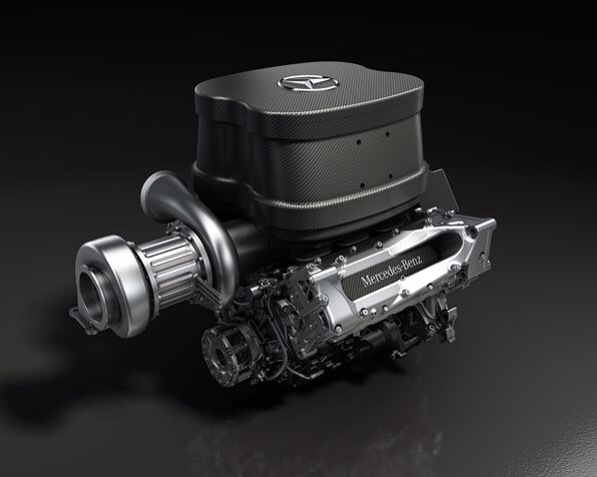 I think we will see a continuation of Mercedes dominance in 2015, 2016 could be a different story, the F1 strategy group met yesterday to discuss engine regulations for that season onwards, Bernie wants to go back to normally aspirated engines in a V8 or V10, but it is clear that Formula 1 cannot take this backwards step again. 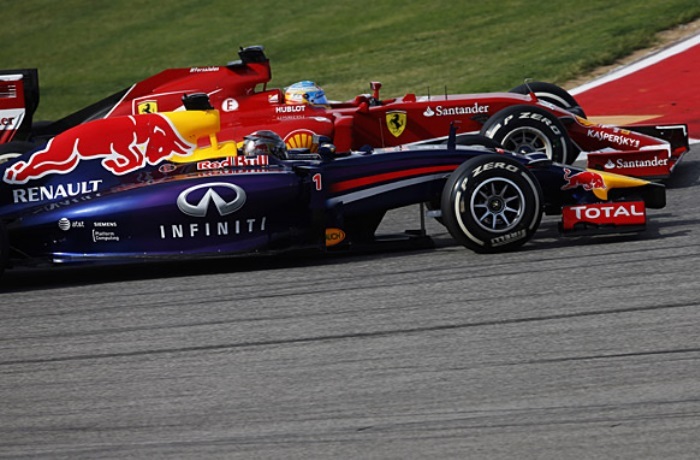 It is clear Formula 1 is heading into an engine war, Mercedes have the upper hand for now, but the future from 2016 is uncertain, who will come out on top? Posted in F1 2014, F1 2015, Ferrari, Formula 1, Honda, Mercedes, Renault, Technology and tagged Engines, Ferrari, Honda, Hybrid, Mercedes, Renault, Turbo, Wars on December 19, 2014 by SteveCampF1.